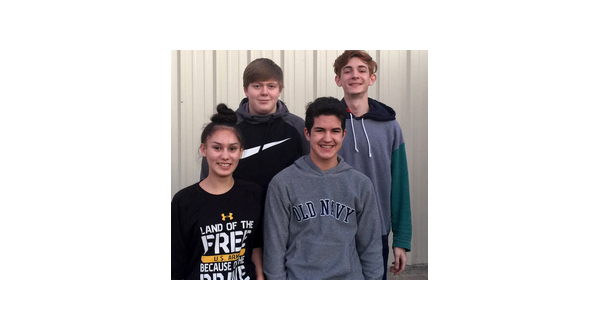 Photo: ICC band students selected for all-region are (front row, left to right) Haylee Carrillo, Dustin Durham, (back row, left to right) Corey Rigdon and Michael Shelton. Thirteen Izard County band students auditioned at Greene County Tech Junior High earlier this month for all-region. Twelve ICC students received enough points to qualify for the all-region bands, and four of them were selected. Selected for all-region were Haylee Carrillo, first band, fifth chair flute; Dustin Durham, first band, seventh chair trumpet; Corey Rigdon, second band, second chair alto sax; and Michael Shelton, second band, ninth chair trombone.